Whether you are looking for Fiat Servicing or an MOT, repairs, parts and spares, performance upgrades or advice, at L&M we’ve got over 15 years’ experience in Italian Cars and our work has been seen all over the world. We believe that if a job’s worth doing, it’s worth doing well and with our extensive knowledge of Italian cars you are in safe hands. Over the years our work has been featured in Auto Italia Magazine multiple times and we take pride in each and every project that we work on. From a simple Alfa Romeo car service through to Abarth 500 Tuning, we focus on every project individually with care, because we know that if we do a good job at a good price, you will be a customer for life. 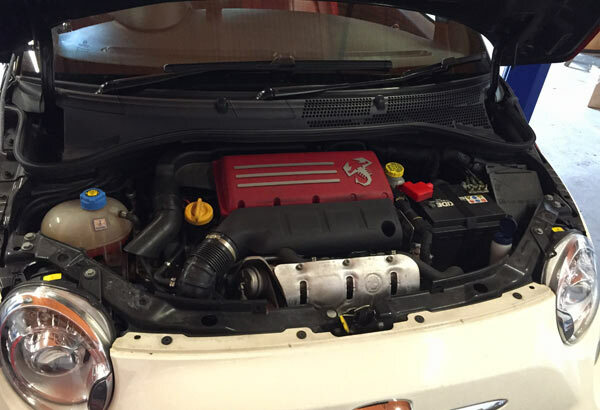 We can service your Fiat, Alfa Romeo or Lancia back to the highest standards. We carry a stock of main dealer parts and also OE quality parts from other manufacturers built to the same standard and quality as the original manufacturer parts. We will service your vehicle in line with manufacturer recommended guidelines and ensure you vehicle is in peak performance. We take great pride in our performance tuning work. We are an authorised agent for many performance car technology products, including: BMC air filters, BMC charge and intercoolers, Eibach springs, Forge dump valves, Supersprint exhausts, Tarox brake kits and Racelogic traction control. We stock many main dealer parts, OE quality brand parts but we also have a wide selection of second hand parts from donor vehicles – Especially handy when parts are no longer available from the manufacturer! If there is a part you need for a Fiat, Alfa Romeo or Lancia, you can guarantee we have it. Get in touch to talk to us about your requirements. Remapping can provide you with many benefits. From improved performance, more torque, improved fuel economy, there are various remapping techniques that we can use to help you get the best out of your car. We do all of our remapping for Fiat, Alfa Romeo and Lancia in house and will understand your requirements before making a suggestion on the best course of action. We can also provide you “tailor made” performance packages including remapping and performance parts. C&S Building Services Ltd uses L&M to service and maintain its vehiclest. As the driver of an Alfa Romeo GT, I wanted a specialist to look after it. I have dealt with Karl at L&M for more than 10 years and in that time found him to be reliable, trustworthy and honest. I know my car will be well looked after. My wife and I have used L&M for over 10 years to look after the six Alfa Romeos we have owned in that time. We value their technical expertise and have always found their service to be professional, friendly and courteous. I’ve been a customer at L&M for around 8 yrs now and they’ve looked after my many Italian cars (I think I’ve owned 10 or 12 in that period). The largest job was a fantastic full restoration of my Fiat Barchetta which I was delighted with. As well as from servicing (many cambelts and variators) and general repairs, they’ve also done significant work on my Alfa GTV V6 and my beautiful chrome bumper Alfetta GT. They also and have done a great looking after my moderns (a Brera and 2 Abarths). L&M are they are extremely knowledgeable and accommodating. They’re also and as honest as the day is long and I’d recommend them without reservation. Just a quick note to say how impressed I was with the service that I received from Karl, Keith and the team at L&M. You were considerably cheaper than most of the other quotes that I got and my vehicle was finished ahead of schedule. Thanks again, I will be recommending you to friends and family. I have been taking my Alfa Romeo to L&M for the past 7 years and wouldnt choose anyone else to maintain my car. I had my Alpha booked in for a service and repair with L&M , I would just like to say how impressed I was with the service you supplied , she ran beautifully, and it was even cleaned for me , coffee supplied and the staff couldn't have been more helpful I would just like to say a big thank you, I would definitely recommend. Our car servicing garage is based between Marlow and Henley in the village of Medmenham in Buckinghamshire. We carry out all work from our workshop so why not pop in, grab a cup of tea and we can talk about your vehicle and some of the projects that we have worked on in the past. 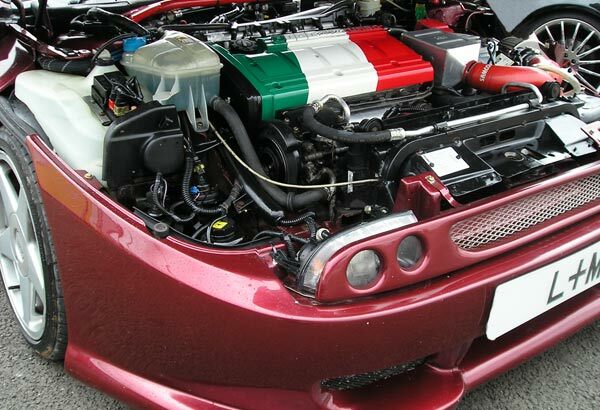 We specialise in servicing, tuning, vehicle re-mapping, parts and repairs on Italian vehicles, including Fiat, Abarth, Alfa Romeo, Lancia & Ferrari. L&M Car Servicing, Tuning & Performance L&M Car Servicing, Tuning & Performance is feeling nostalgic at L&M Car Servicing, Tuning & Performance. Have you seen the Alfa hall of Legends? Take a break, make a cup of tea and gaze upon some stunning Alfas through the years! L&M Car Servicing, Tuning & Performance L&M Car Servicing, Tuning & Performance is thinking about cars at L&M Car Servicing, Tuning & Performance. 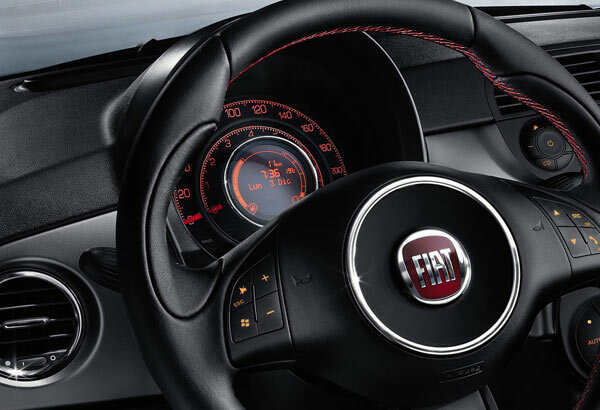 Who else has been looking at the new Fiat 500 interiors? We have! and we think they're great! Loving the new Fiat 500x.....? We think Fiat are vamping up the style on ALL their models and cant wait to see whats next!